Naira Cola is 90 for life and has an amazing testimonial to share about how the Youngevity Healthy Start Pak helped her recover from life threatening blood clots in her lungs (Pulmonary Embolism) and a huge amount of uterine fibroids naturally while preserving her reproductive functions. Naira also shares how her father who was suffering from type 2 diabetes for years found relief in weeks. My name is Elaine Vitito and I was diagnosed with Type 1 Diabetes in 1970 at age 29. I must take insulin subcutaneously and currently wear an insulin pump. For at least 20 years, I have been taking a high quality brand of nutritional supplements that I know have helped me stay quite healthy. However, diabetic complications have still developed: Bleeding in my eyes; neuropathy from my feet up to my knees; Gastro-intestinal issues; Under-active thyroid function, and frequent stress fractures in my feet. I also experienced cramps in my toes, feet, and legs. I began the Youngevity “90 for Life” program on May 1, 2014, after having just completed my routine 3 month blood profile for my Endocrinologist. I told my doctor that I was starting this new nutritional program and wanted him to document my progress. This was my way of testing whether these Youngevity products were really going to work for me. The first few days after starting, I got out of bed and noticed that I could feel my night gown on my legs. It had been years since that had happened. Another improvement I noticed was my forearms were free from bruises. For several years, anytime I bumped my arms, large blood marks would appear. Along with those great results, I also had more energy and just “felt better”! After 3 months, I had my blood work completed again and anxiously waited to hear what my doctor had to say. My blood sugar level (A1-C) had lowered from 7.8 to 7.5 (the doctor wants me at 6.9). My kidney function was in the normal range. My thyroid numbers had moved to the lowest end of the normal range and the Dr. said if it keeps coming down, he would have to lower my daily dose. All of my cholesterol numbers were great. Then the doctor checked my neuropathy. He could hardly believe what he was seeing! My numb feet now only have a few “dead” spots on the bottoms. I have most of my feeling back in my legs! I now rarely get pain in my feet and do not get any cramps in my muscles! The doctor and I were very surprised at this major improvement! Many have been asking me to tell them exactly what I am taking, and I don’t mind sharing, but I am NOT a medical expert and can’t tell people what they need to take. Everyone needs to research and test these things on their own and judge for themselves how the products help their particular situation. 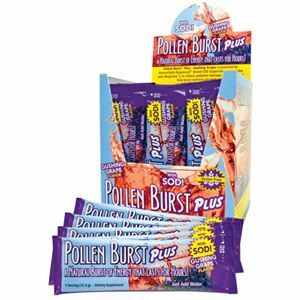 I started with the Pollen Burst as my introduction to the YGY products. Then, I began taking the Healthy Body Start Pak 2.0 along with Ultimate Selenium, Ultimate Gluco Gel, Memory FX, Vision FX, Ultimate OPC-T, Cardio FX, Ultimate Cal, Ultimate Enzymes, and Flora FX. I have just now started taking Sweet Eze and don’t yet have results for that. Because I have had Type 1 Diabetes for so many years, there are lots of different areas in my body that need attention. 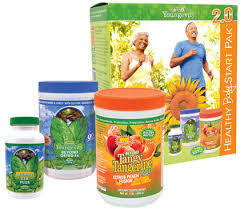 As a Youngevity Distributor, I enjoy the privilege of buying these products at wholesale. I can’t put a price on how much better I feel! I’m sure I have added many productive years to my life! I am still an insulin dependent diabetic. I still must continue exercising, eating right, and getting my sleep. My hope is that I have inspired you with my story, so you can have a better life, too! Can money buy happiness? Absolutely not. My friend Dr. Corey Gold had plenty of money. But he wasn’t happy. Until someone loved him enough to show him a better way through Youngevity. Having met this young lady and seen the big smile on her face myself, I know she’d be glad to share her personal testimonial of how she beat cancer with you. I first joined Youngevity for two reasons – to get my health back and to start a side business for additional income. Health was the most immediate concern for me as all of my medical “numbers” were out of whack, particularly my blood sugar. I was averaging a daily blood sugar reading of between 272 and 294, with some days actually going over 300! Since the desired number is 100 or below, I knew I needed help, but the medication the doctor gave me made me sick and I couldn’t take it. I began taking 90 For Life in August, 2014, and within 2-3 weeks my blood sugar had dropped to 181 – unbelievable! And this was with no medication and no change in diet. I knew I would have to make more changes to lower it further, so in September, 2014, I participated in the two-week Get Real program to cleanse my body systems and learn how to eat better. By the end of the two weeks my blood sugar had dropped to 115! I couldn’t believe how drastic the change was. In January, 2015, I went in for my annual physical and my doctor was shocked when he read the results of my blood work. Virtually ALL of my numbers had improved! My overall cholesterol was down considerably with my good cholesterol going up and the bad going down, my triglycerides were down, my blood sugar was dramatically improved, as was my A1C, my Vitamin D which had been practically non-existent was up close to normal range and even my weight had dropped. He asked what I was doing differently and I told him about Youngevity and 90 For Life. He told me that my results were incredible and that I should tell all of my Youngevity friends that my doctor said that this was just amazing! His prescription for me was to keep doing what I’m doing! Youngevity and 90 For Life have completely turned my health around and I’m so grateful. I want to share this message of health with everyone I meet and particularly with those I love and care about. People just need to take these products!! They won’t be sorry! I am liking everything very much, but not sure if I can say I have a favorite. I take the BTT 2.0 and the Pollen Burst together in the morning to get me going. I have been so tired every morning because of all of the exercise. I am dragging when I wake up, but have these products to jump start me and keep me going. This has been helping me. It is amazing how I am just dragging when I get out of bed, then I take these products and feel different so quickly. I understand why that is because of what’s in the products and the form it is administered in. It hits your system quickly and that’s what I need. I need the energy early on before my food has a chance to digest so I have energy for my classes. Happy I have the products! This testimonial was provided by a Florida-based medical doctor based on her own experiences with breast cancer & the effects of chemotherapy. I am a medical doctor currently living in Florida and have been practicing since 1997. I am also a former Air Force officer and separated after 14 years of service as a Major. My life was all consuming as a military officer and in the practice of medicine… until May 2012 when I felt a lump in my left breast. I subsequently was diagnosed with a highly aggressive, triple hormone positive, poorly differentiated breast cancer that spread to the lymph nodes. My whole life changed in a single instance as I switched from being a doctor who diagnosed and treated cancer to a patient having to fight for my own life. I did the “standard of care” treatment for this type of breast cancer. This entailed a partial mastectomy, lymph node dissection, 3 different intravenous chemotherapy agents weekly for six months, 8 weeks of daily radiation and then another six months of chemotherapy. It was over a year of treatment for breast cancer. I soon realized the value of the immune system because It was clear that my own immune system failed by allowing cancer to grow in my body. I also learned how chemotherapy and radiation weakens your immune system in order to kill the cancer. I couldn’t depend on my immune system during the year of treatment to protect me from bacteria and pesticides on raw fruits and vegetables therefore I was restricted from eating these. I also was not allowed to be with my pets because of the possible pathogens they could pass on to me. In addition I had to take extremely good care of my feet and nails to avoid any cuts or scrapes that my body would not be able to heal due to a low white blood cell count. I gargled and cleansed my teeth 5 times a day with a baking powder and salt mixture to keep the bacteria in my own mouth from causing infection that a compromised immune system would have trouble fighting. These lifestyle changes were all by the direction of my Oncologist who knew my immune system would be weakened by the treatments. The importance of my immune system was emphasized because I was vulnerable to pathogens, toxins, bacteria, yeast, viruses, etc., that before cancer and chemotherapy I had taken for granted. After completing treatment last year, I have had to deal with the resulting side effects. I experienced muscle spasms throughout my body along with severe neuropathy in my hands and feet that became so painful that I experienced difficulty walking to my mail box or even squeezing toothpaste out of a toothpaste tube. After all of the treatments to kill this cancer, I was left to recover from extreme fatigue leaving me mostly bed bound, with severe peripheral neuropathy where I could hardly function normally along with extensive body pain. I felt desperate to try to find a way to heal my body in my recovery. I searched both alternative medicine and traditional medicine to help me recover. As I wasn’t getting stronger and suffering more and more, the doctor would increase and add more medications for me to try. I tried everything, be it conventional medicine, alternative medicine, holistic medicine, yoga, acupuncture, etc., etc., etc.— but nothing helped my symptoms, until 4 months ago, when I was invited by a person I had just met to go and listen to someone talk about highly purified Beta Glucan in a blend with Resveratrol and Vitamin C.
Because I am a physician who had never heard of Beta Glucan, plus all of the testimonials that I read seemed too good to be true, I was very skeptical and thought that it was more than likely just like the many other treatments and alternatives that so many of my friends, family and doctors wanted me to try. I quickly Googled highly purified Beta Glucan during the discussion and saw it on WebMD and Pubmed and since I use these sites, I was curious of the potential benefits. At the same time, I was so weak and physically depleted; I knew that it would be worth giving this highly purified Beta Glucan, Resveratrol and Vitamin C blend a try. Within 2 days I felt the difference in my pain, energy and ability to function. Within one week, I was able to start organizing my office, clean out my pantry, refold and put away clothes in my drawers, and take everything out of the refrigerator and freezer and organize that too. I lived alone and pretty much my home looked like a hurricane had gone through it. I had more energy, I felt less pain and the quality of my life improved dramatically. I received the energy needed to help me with my current recovery. Now I volunteer, have traveled from east coast to west coast and back, have hiked the grand canyon, walked 3 miles in my neighborhood, go to yoga for stretching weekly and started an exercise routine (this was within 2 months of starting Beta Glucan). My friends and even my doctors noticed that I am a healthier and happier person. Not only am I cancer free, I have a better quality of life. I hope that others don’t experience cancer or be pushed to desperation like I was to discover an amazing supplement like Beta Glucan. It has helped me tremendously. Thank you for these amazing supplements! 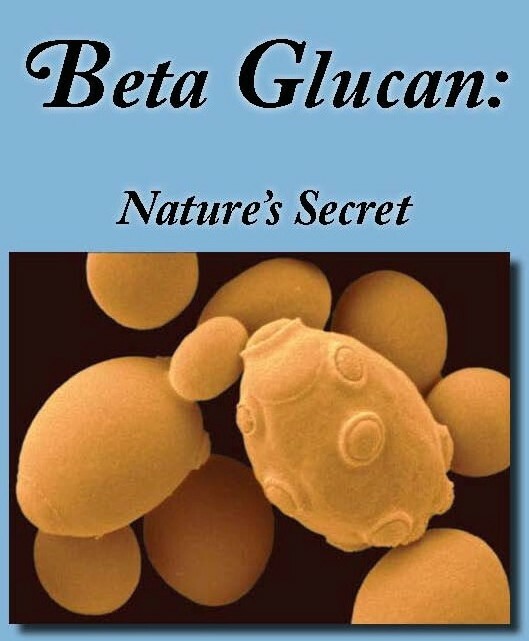 Get the book on beta glucan here. Order the same beta glucan product Dr. J used here. In 1997 Wallach was contacted by Lauren Knievel, the niece-in-law of Evel Knievel (the famous dare devil). She was two and a half months pregnant, and her embryo had been diagnosed with Down syndrome at the two and one half month stage by both an amniocentesis and an ultrasound by two separate laboratories. She wanted to avoid an abortion that many were recommending. Wallach answered that he didn’t know; he had never been asked before to intervene in an early pregnancy to save an embryo. He told her, however, if she wanted to try, he was willing to try and would do his best. Wallach knew that they must work quickly, as the window of time that would allow a reversal of such a ‘genetic defect’ may have already passed. Wallach put together a formula of all the known 90 essential nutrients and the very day that Lauren Knievel posed the question, “Can the gene defect that caused the Down syndrome in her embryo be reversed?” she began to consume the 90 essential nutrients. Lauren Knievel’s baby was born a full-term perfectly healthy baby— the Down syndrome “genetic defect” had been reversed! Wallach, Joel (2014-05-20). Epigenetics: The Death of the Genetic Theory of Disease Transmission (Kindle Locations 7319-7329). SelectBooks, Inc.. Kindle Edition. Theo was cleaning out his locker in the Hawks’ training facility when he heard Mike Glen, “The Stinger,” the legendary guard for the Hawks talking to another player about rebuilding his own knees with Wallach’s supplement program (Glen had regrown his knee cartilage in both knees after retirement and had declared, “I could have played for five more years if I had known about Wallach’s program earlier!”). Ratliff walked over to Glen and asked if he thought that Wallach’s program could also help him. Glen replied in the affirmative, and Glen started Ratliff on the program. Ratliff passed all of the physicals, and the next season he was given a $ 40 million contract with the Portland Trail Blazers! In 2012 Ratliff finished his professional career of sixteen years after three years with the Los Angeles Lakers. Wallach, Joel (2014-05-20). Epigenetics: The Death of the Genetic Theory of Disease Transmission (Kindle Locations 7331-7339). SelectBooks, Inc.. Kindle Edition. Wallach, Joel (2014-05-20). Epigenetics: The Death of the Genetic Theory of Disease Transmission (Kindle Locations 7352-7353). SelectBooks, Inc.. Kindle Edition.